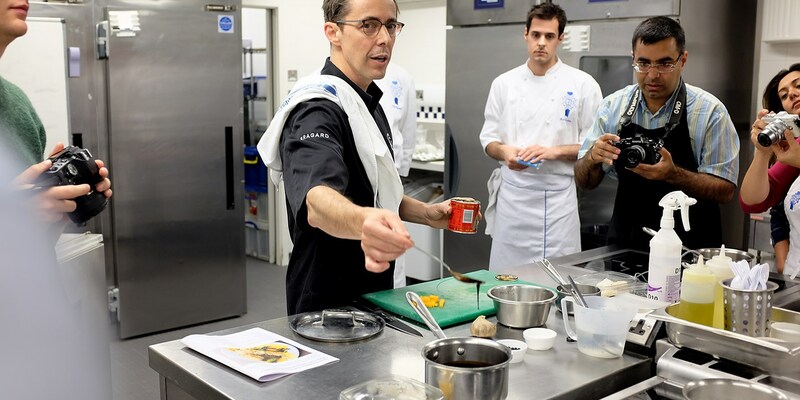 We teamed up with Pascal Aussignac to learn the secrets of cooking cod to perfection and how to prepare it like a Michelin-starred chef in the kitchen at home. Cod has long been a firm favourite in the chip shops, supermarkets, fishmongers and restaurants of the UK. While we’ve certainly become more adventurous over the years, trying new fish species like gurnard, dab and John Dory, cod still holds a special place in our hearts. Pascal Aussignac is a champion of Gascon cuisine, cooking informal, innovative dishes inspired by his youth growing up in Toulouse and Bordeaux. As a lover of all things fish and seafood, he sees cod as one of the best species to work with – particularly cod caught off the coast of Norway. 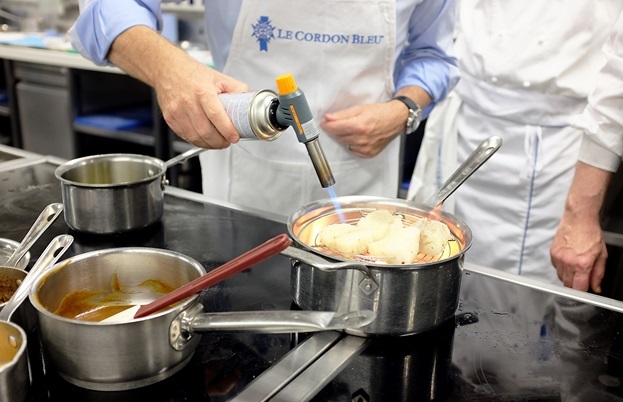 We invited Pascal to Le Cordon Bleu cook school so he could share his favourite ways of cooking Norwegian cod with a small group of bloggers and journalists. After demonstrating one of his most iconic canapés – crunchy grapes – he shared his favourite way to cook cod during autumn: confit with juniper and butternut squash. While the cooking methods used in Pascal’s dish are a little more adventurous than what we’d normally use when cooking cod, the chef was keen to show that it wasn’t hard to recreate at home. Perfect for dinner parties or occasions when you want to impress, cooking the cod in a confit helps intensify both the flavour and texture of the fish.